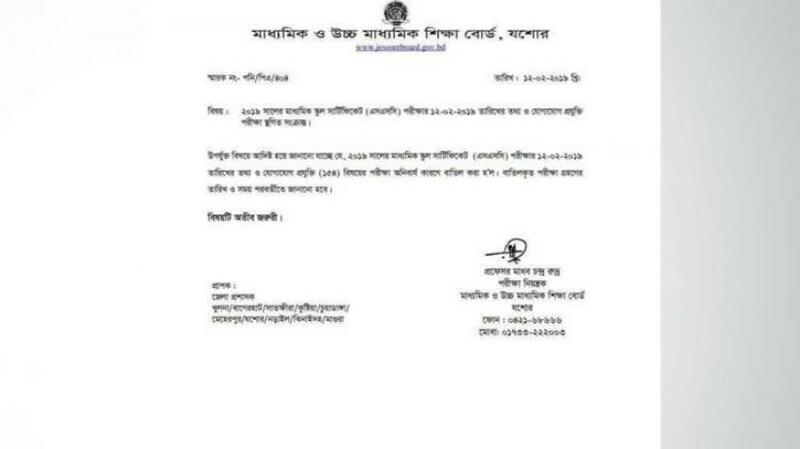 The Information and Communications Technology (ICT) examination of Secondary School Certificate (SSC) under Jashore board has been cancelled following printing mistakes in the question paper. “The mistakes were spotted after examinees started taking the test after 10am on Tuesday (Feb 12), said Jashore Education Board Examination Controller Madhab Chandra Rudra. “This happened because of the mistake made by BG Press,” said Madhab Chandra Rudra. The fresh date of the examination will be informed later, added Rudra.